We Buy All Apple Watches for Cash! In the not too distant past, a watch was just a watch – it told you the time, maybe the date, and some of the more capable watches had additional functions like stopwatch timing. These days, however, watches can be a whole lot more useful to their owners, and can even help you with your health and sense of well-being. For instance, the Apple Watch is one of those which has the capability of monitoring health metrics, so that even in the middle of your busy day, you always have a handle on your activity level, and a general sense of how good or how bad a day you’re having, relative to good health. These kinds of modern-day smartwatches have become extremely helpful to some people who simply don’t have the time or the means to monitor all the various factors of health which make up your total fitness regimen. 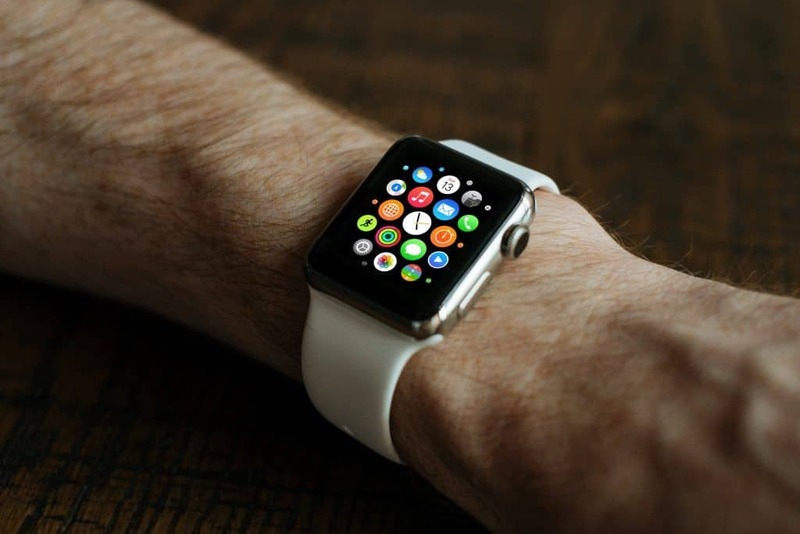 Because people get so attached to these handy little devices, they also are very reluctant to give them up for any reason – unless it’s to upgrade to a newer, even more capable Apple watch, which can do an even better job of keeping tabs on your body’s general health throughout the day. Apple Watches Aren’t Cheap, Get Cash Before it’s Too Late! These new smartatches don’t come cheap though, and unless you broke the bank with a high-paying job or won the lottery, it might be difficult for you to just dash right out to your Apple Store or local retailer, and browse through the latest and greatest Apple watches. That’s why we’d like to offer you a very reasonable and doable alternative. If you’re looking to sell your Apple Watch in Mesa, Arizona, we can offer you the largest payouts for your watch, depending on its condition and the specific version of Apple Watch it is. While we can only give you a general idea in a quote over the phone, or your iPhone or iPad, we can give you an accurate assessment of your Apple watch’s value if you bring it into our pawn shop store in Mesa, Arizona. We have the most hassle-free, expert evaluation process at our store, and we can guarantee you that you will be treated fairly and honestly by our in-house smartwatch expert, because it’s in our best interest to accommodate you to the greatest possible extent and encourage you to become a repeat customer with us. If you live anywhere in the area around Mesa, Arizona, including nearby communities like Phoenix, Scottsdale, Apache Junction, Gilbert, Tempe, or Chandler, we strongly encourage you to make the drive into our Mesa pawn shop and have your Apple smartwatch assessed right on the spot. We are the #1 place to sell your Apple watch in Mesa, Arizona and we strive to keep you as a customer by trying our best to put substantial cash in your hands for the old Apple watch you’re ready to upgrade, or for any other item of value which you are ready to sell and convert into ready cash on the spot.